William Harvey Love was born January 15, 1939, in rural Stephens County near Claud, Oklahoma, to William Thomas and Janie (White) Love. 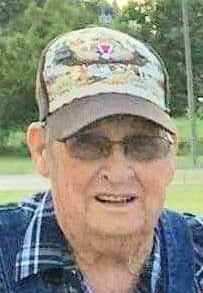 He passed away on Monday, January 14, 2019, in Oklahoma City, just one day before his 80th birthday. Funeral service is scheduled for Wednesday, January 16, at 10:00am at the Velma Baptist Church with Rev. Jeremy Higle officiating. Burial will follow in the Claud Cemetery. Military honors will be provided by the Stephens County Honor Guard. Arrangements have been entrusted to Whitt Funeral Home. Harvey graduated from Velma High School. He proudly served in the US Army in Germany. He then served in the US Army Reserves. He married Doris Marie Ragland in 1964 in Pauls Valley. After returning from Germany, he worked at Halliburton for 11 years in Shop Maintenance. Later he worked on a pulling unit and at the DX service station in Velma. He enjoyed fishing and hunting. He loved spending time with his family. Harvey was a member of the Velma Baptist Church. He was preceded in death by his wife, Doris; parents, William Thomas and Janie Love; brother, James Love; and brother-in-law, Walter Ragland. Harvey is survived by his brother-in-law, Harold and wife Thelma Ragland; nephews, Harold ‘Dean’ and wife Tawana Ragland and Deitrick and wife Jenny Russi; nieces, Betty Jacobson, Mary Deglow, Carla Lewallen, and Wimberly Fresia; and many great nieces and great nephews. Memorial contributions can be made in Harvey's name to the Velma Baptist Church Building Fund. Online condolences may be made to the family at www.whittfh.com.